What do we turn to when faced with life’s limits? Project Y Theatre experiments with the world premiere of Charles Mee’s LIFE, a series of striking moments where characters must face the limits of love, security, and meaning. Mee’s collages also come from an impulse to capture the complexity and the beauty of life. 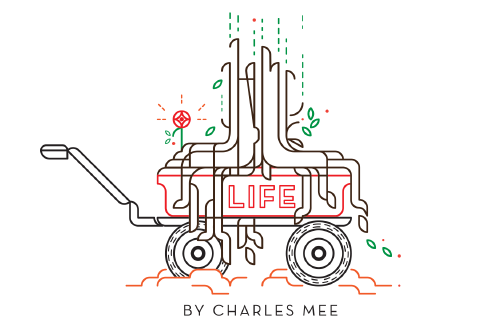 For years Mee has been quoting Nietzsche and arguing that “people make up stories to reassure themselves. The experience of our lives is not a story, it’s a collection of vivid moments. …That’s what our lives are made of. That’s the truth of our lives.” This is the heart of Life. And in its juxtaposing collage of scenes, it asks what can we really know, given the impermanence of love, the slipperiness of security, and the evasiveness of meaning? And how should that affect our lives? Visit lifebymee.com to learn more. This production is a part of [email protected]: a curated rental program, which provides artists with subsidized space and equipment, as well as technical support. Project Y Theatre is supported by The Dramatists Guild, NYSCA, NY Department of Cultural Affairs, The Puffin Foundation, ART/NY Nancy Quinn Fund, ART/NY Creative Space Grant.